Yeah, that would explain it all right, but those aren’t the reasons I haven’t written. 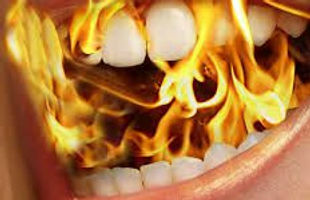 The reason is that there is nothing new to share with my fellow Burning Mouth Syndrome (BMS) sufferers. No new coping strategy, no new med, nothing exciting in the research or medical world that will make any difference whatsoever to us. I wish that were different. My ten-year anniversary with BMS (this time around) approaches swiftly and all I can do is stay the course. I took off the 25 pounds that were weighing me down, and that was good. I have built up the muscle and tone in my body and feel strong and healthy, and that is good. I am making a difference in my community and mentoring one kindergartener and two young women who will change the world someday, and that is also very good. But the anniversary will come at Mother’s Day, as it has for so long, and I fight not to be depressed about that. I am sure it is the same for all of us who suffer long-term with chronic pain and my thoughts are with you. Reach out and join a support group, check out the Burning Mouth Support Group on Facebook, and do check into the BMS Support website from time to time. Chances are if advances are made and new therapies are discovered, you will see it there! Hold on to hope and keep focusing on the things in your life that you are grateful for. I have found it to be one of the most powerful strategies for dealing with this challenge we call BMS.